This entry was posted on September 28, 2012 by joeleagle. 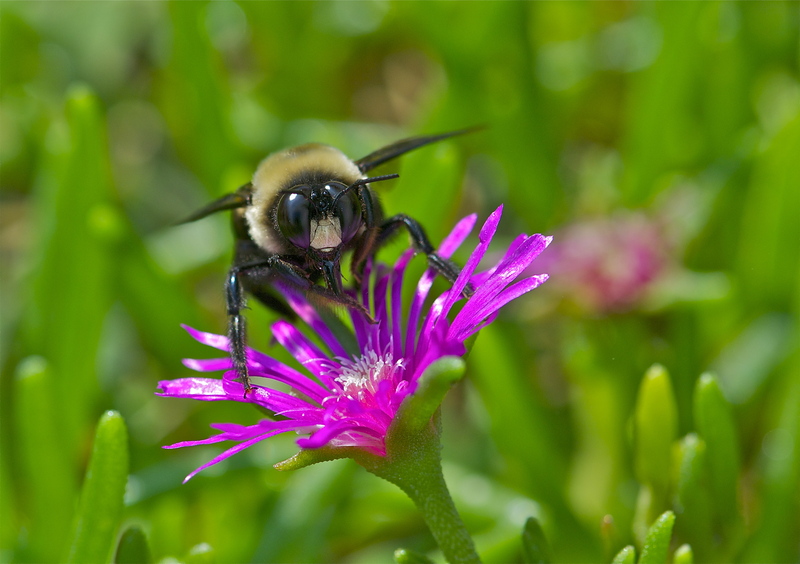 It was filed under Flowers, Insects and was tagged with Carpenter Bee, Delosperma cooperi, Male Carpenter Bee, Mesembryanthemum cooperi, Pink Carpet, pink succulent flower, Trailing Iceplant. Incredible! I really like how the black parts of the bee contrast with the petals and the background. So sharp, I can even make out the individual eyes. With all of the research you are doing on these insects, you should become a entomologist and publish a book!